To be able to figure out how to affect your brand’s marketing needs you need a starting point. Maslow´s hierarchy of needs is a classic model for describing how a human being prioritizes its basic and social needs and how it affects an individual´s motivation. The same model can be used as a starting point of figuring out how a brand could affect all its fundamental marketing needs at the same time by reaching out to potential customers through Interactive Advertising that impacts their minds. 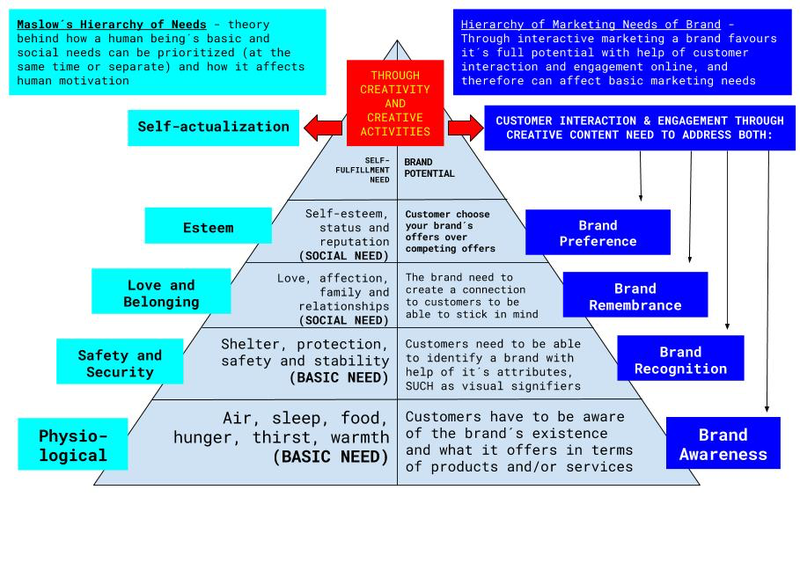 The model above describes that a brand´s basic needs consist of Brand Awareness and Brand Recognition. Together these needs constitute the foundation on which to build an advert. Before anything else, the customer needs to be aware of the brand´s existence and be able to identify it easily by a brand´s characteristics and attributes. 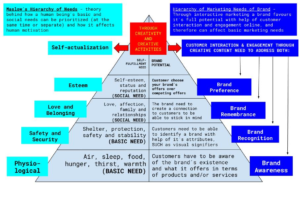 When the basic needs have been fostered you can start to call upon the social needs of the brand. Which constitutes Brand Remembrance and Brand Preference. Because making a brand able to stick in customers mind you need to create an emotional connection between brand and customer. When you have created that connection, the customer is more likely to interact with a brand and therefore buy and consume what the brand offers. Brand Awareness – Increase customers knowledge of your brand through quizzes and contests with rewards that stimulate brand knowledge. Brand Recognition – Create banners or videos containing creative content that makes customers recall your brand with help of visual signifiers. 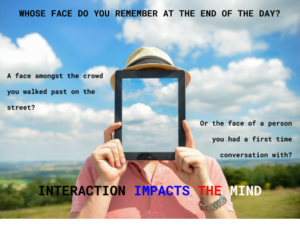 Brand Remembrance – Interaction impacts the mind and customers will create a connection to your brand when they are rewarded for their engagement. Brand Preference – A connection with your brand makes the customer more likely to develop a preference for your brand. Bottom of the bill, Interactive Advertising is the best way of creating interaction and therefore help your brand reach its full potential.